You started a business in New Brunswick, NJ because you’re passionate about all the great things Central Jersey has to offer. From Rutgers University and the ethnically diverse neighborhoods of New Brunswick to the world-renowned health care institutions and breathtaking parks and conservation areas, there’s truly something for everyone in Middlesex County. That’s why, when it comes to advertising, many local businesses begin by reaching out to advertising agencies. It’s better to work with an advertiser that knows and understands the ins and outs of New Brunswick like you do. Valpak of Central Jersey is the better New Brunswick advertising agency choice for improving your business. With more than 50 years of advertising experience, we help businesses in Monmouth, Middlesex, Mercer, Somerset, Hunterdon and Warren counties reach their best customers. Our team of New Brunswick, NJ advertising experts live and work in Central Jersey, giving them first-hand experience into which advertising solutions work for local businesses. Is Newspaper Advertising in New Brunswick, NJ Right for You? There are 22 million customers with $800 billion in spending power in Central Jersey. The fact is though, not every one of those customers is a good fit for your business. So how can you be sure you’re reaching the ones that are? Targeting: Valpak can target your audience based on geography, demographics, behavior and buying power. Newspapers don’t have this capability. Life Span: 62% of Valpak households keep their coupons for one month or longer.1 Newspapers are typically thrown out after a day. Quality: Valpak ads are printed in full color on glossy paper. Newspaper ads are typically printed on coarse paper and in black and white. Readership: 9 in 10 households open and look through the Blue Envelope each month.1 Newspaper readership has declined in recent years. Contact your New Brunswick, NJ advertising expert and see what Valpak can do for your business. For specific dates and coverage, contact your Valpak of Central Jersey representative. 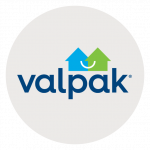 Valpak of Central Jersey is an independently owned Valpak franchise.